Your opinion matters. Leave A Review Or Edit This Listing for Rohde Center Food Pantry. Rohde Center Food Pantry is a member pantry of the Food Bank of Central New York. Located in Adams, NY, The Rohde Center Food Pantry serves nine towns in southern Jefferson County. All towns in the school districts of South Jefferson, Belleville-Henderson and Sackets Harbor may use the pantry if they qualify under federal income guidelines. The Rohde Center also offers Food Sense Food Co-Op for all members of the community. If you eat, you qualify. Additionally, we offer Fresh Foods, a cooperative program with Wegmans Markets and The Food Bank of Central New York. There are no income restrictions for Fresh Foods. 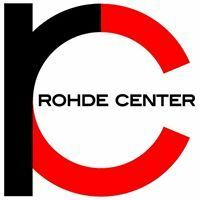 Check the Rohde Center website for dates and hours of all three programs. We always need more information on our pantries. If you know of any details, volunteer information, website, hours or more description information about Rohde Center Food Pantry please add a comment (below the map on this page), with information. We will then display this for all visitors on this page.